Serial Killers, Bikers & Vampires! Oh My! Well last week in television premiers was so amazingly off the chain that I needed some days to pass to process it all in my mind before I posted about it. 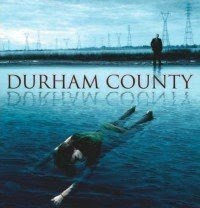 First up was Durham County (Monday, 10PM on Ion). Now considering that I don't tune in to Ion for anything to begin with, that I was going to do so based on the Durham County promos was saying something. It was excellent! 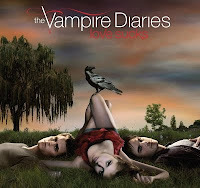 I'm hooked and totally about it. It had a fresh feeling but still reminded me of Twin Peaks (or anything Lynch really). Not to spoil anything but in the beginning there's a scene with two girls in the woods & all I could say was "Those chicas have Laura Palmer written all over them". And they so did & that, I think is what will be setting the overall tone for the mystery of the season. It's not for the faint of heart & is definitely hitting high on the skeevy meter but if you're looking for a good story that'll make you double check the doors are locked & your cell phone's charged... ya' know, just in case... Durham County may just be for you. 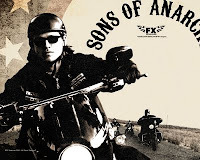 Next was the most anticipated show on my list of premieres, Sons of Anarchy, (Tuesday, 10PM on FX). Sometimes you don't know what to expect with the second season of a show. It could be epic as easily as it could fall somewhat short. Well, no worries with SoA, it was beautifully epic and truly the best thing I've seen on television in months. Kurt Sutter & Co. have stepped it up a notch as unbelievable as that is and have set us on the road for high end drama where you just know that by the end will be littered with bodies, blood and tears. I can't wait. This one too, is not for the faint of heart but if you're down with SAMCRO there's no place you'd rather be. One other show will get an honorable mention by me here... Melrose Place (Thursday, 9PM on CW). Tune in for Katie Cassidy as Ella, roll your eyes at Riley, wonder why the hell Jonah is wasting his time on her, try to determine if you really care about David, son of Dr. Michael Mancini or Violet, daughter of Sydney & drool over the hot but possibly ethically skewed Toby (who has a thing for recently in need of cash Dr. Lauren). See, before you know it, you'll be talking about these people like you know just who they are. And in case it wasn't clear, I'll likely be blogging about these shows as we go along. So if you're tuning it, let's talk about it.